← Clam and Bacon Pizza! OMG!! 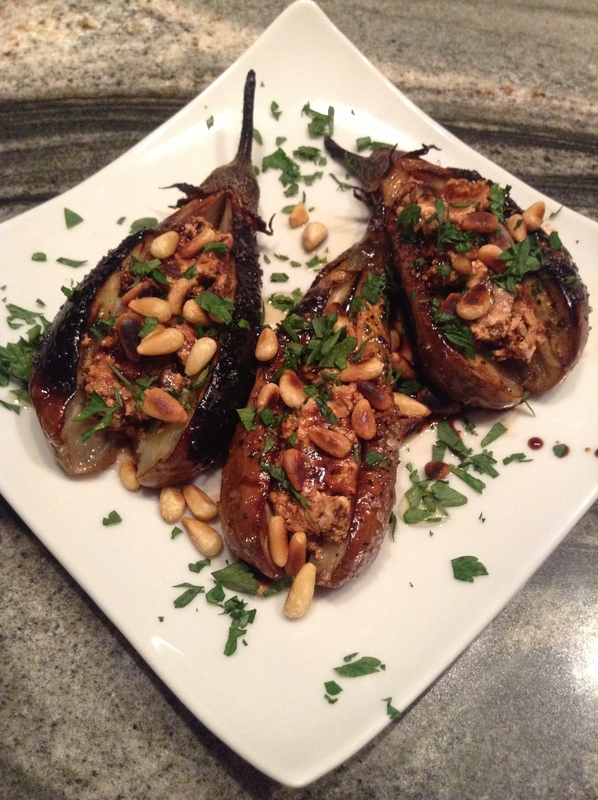 Roasted baby eggplants stuffed with goat cheese, sun dried tomatoes and pine nuts. A perfect party appetizer or a side dish for two. parsley, to make it gorgeous! 1. Preheat the oven to 425 degrees. Line a baking sheet with foil and spray. 2. Wash eggplants and carefully slice about 3/4 through each one lengthwise, careful not to go all the way through. 3. 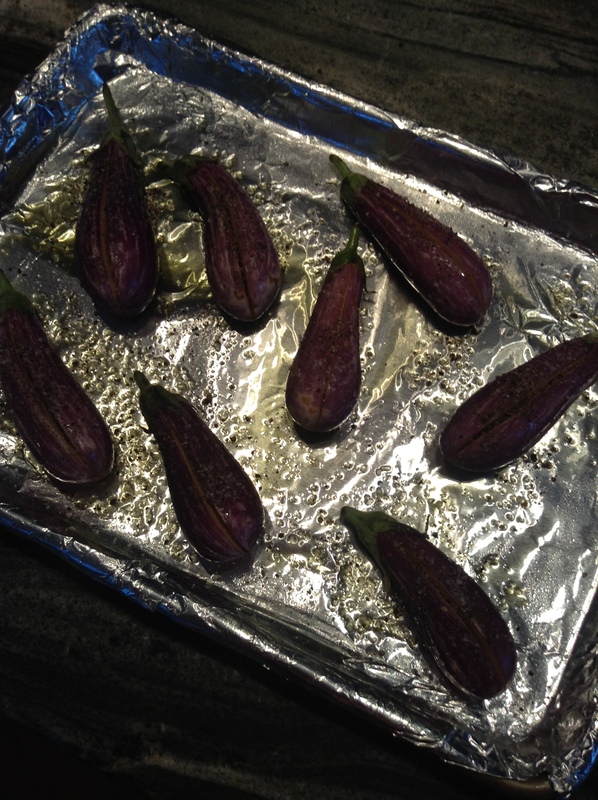 Place eggplants on baking sheet, drizzle with olive oil and season generously with salt & pepper, like so. 4. Roast for 20 minutes at 425 then turn to broil for an additional 3-5 minutes just until skins start to wrinkle. 5. 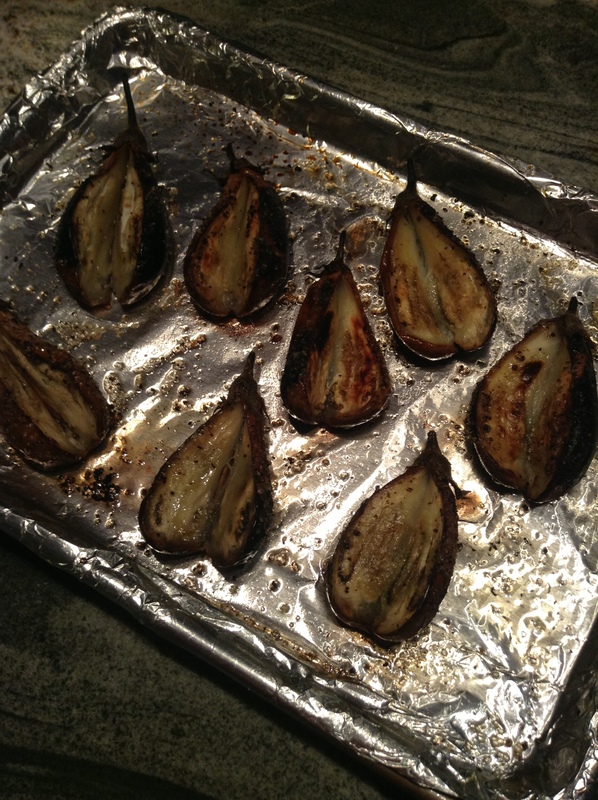 Remove eggplants from oven and let cool for about 5 minutes. Roasted eggplant waiting to be stuffed. 6. 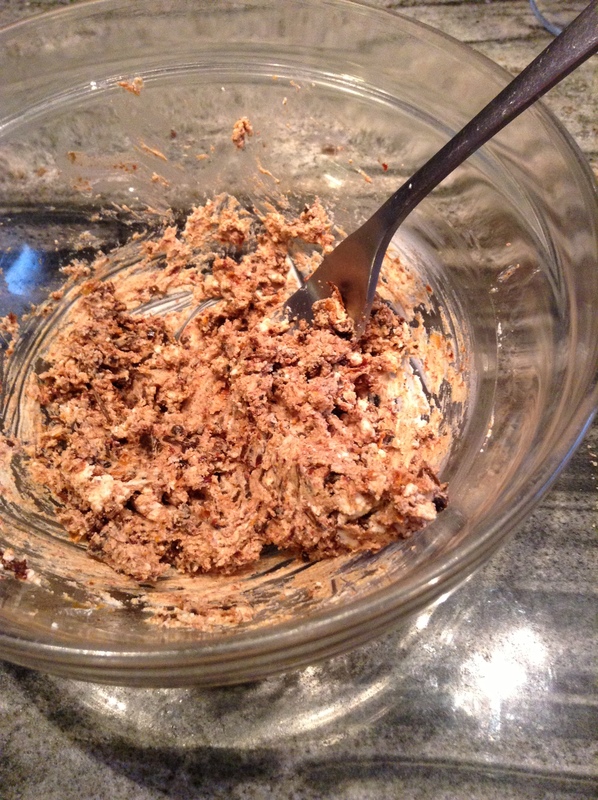 In the meantime, combine goat cheese & sun dried tomatoes in a small bowl and mash together. 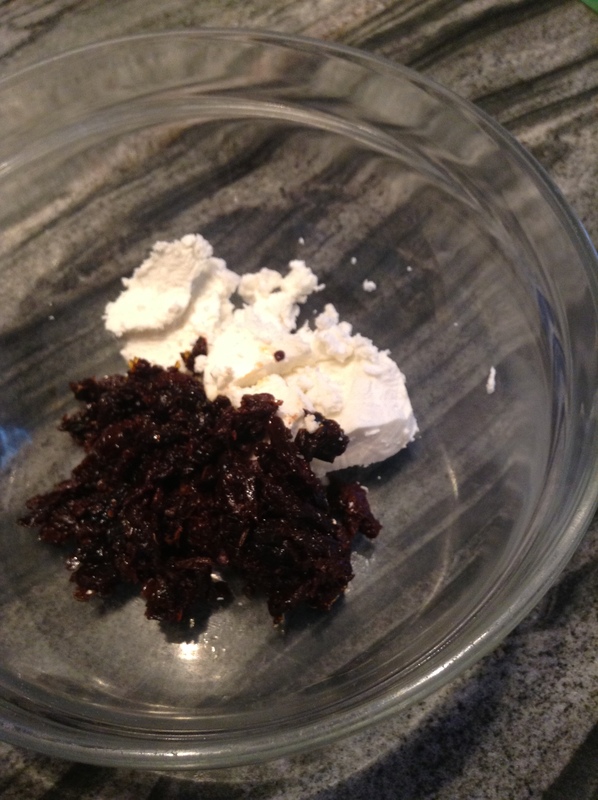 Goat cheese and sun-dried tomato, ready for mixing. Goat cheese and sun-dried tomato, mixed and ready to go! 7. Stuff each eggplant with a small amount of the goat cheese mixture. 8. Sprinkle pine nuts on top. 9. Finish with a drizzle of honey, balsamic vinegar and chopped parsley. 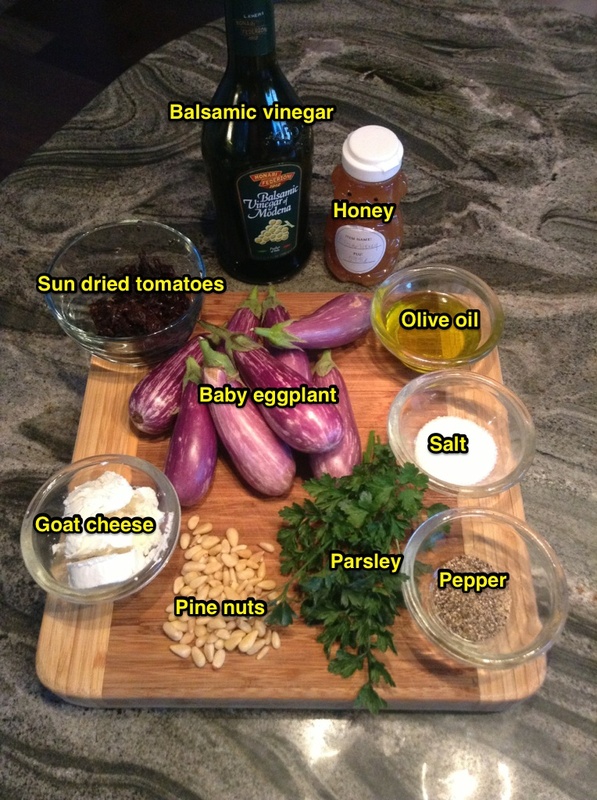 This entry was posted in Dinner, Uncategorized and tagged eggplant, goat cheese, pine nuts. Bookmark the permalink. Nobody loves all those ingedients more than I do!! 🙂 Looks like a fabulous recipe. Can’t wait to try!